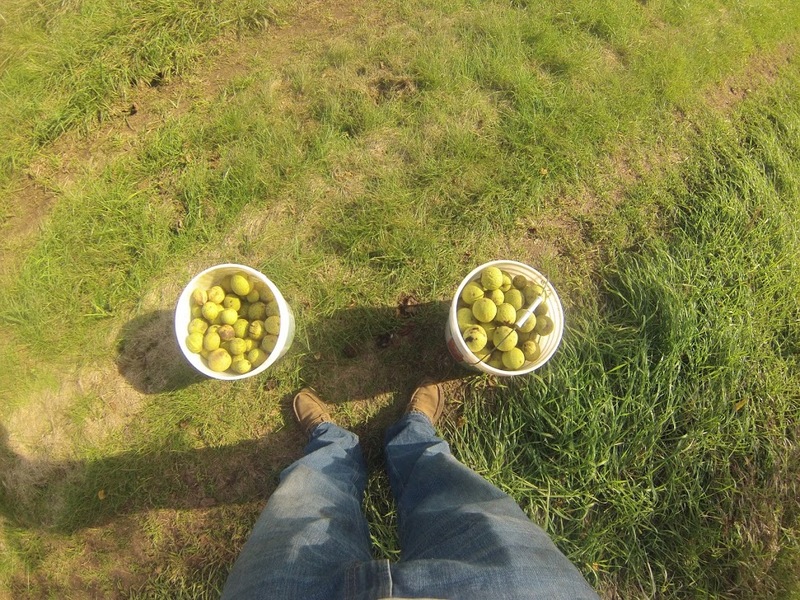 Harvesting walnuts is a very easy process. The fruit will simply fall from the tree when it is ripe. Creepy crawlies that get into the fallen fruit before they can be gathered don’t penetrate the shell of the walnut, thus do not ruin the fruit. If those nuts gross you out, let them lie to nourish the wildlife! Luckily I have so many native mature trees that competition with squirrels is not an issue. Last week I was gathering nuts along side a fox squirrel that might have been bigger than my parents’ small breed dog. This year, my average time spent harvesting is filling a 5 gallon bucket in 7 minutes. I enjoy the workout of carrying 2 buckets at a time 100 or so yards back to the barn for storage/processing, but it does cause my arms, shoulders and trapezius muscles to burn intensely. My favorite part about harvesting walnuts is that I get to directly observe the variations in tree genes. I have two trees that look like twins, but one produces walnuts that are so large (between a baseball and a softball) that they don’t feed well into the corn sheller I use to dehull the nuts. The other produces nuts that are close to a golf ball in size. 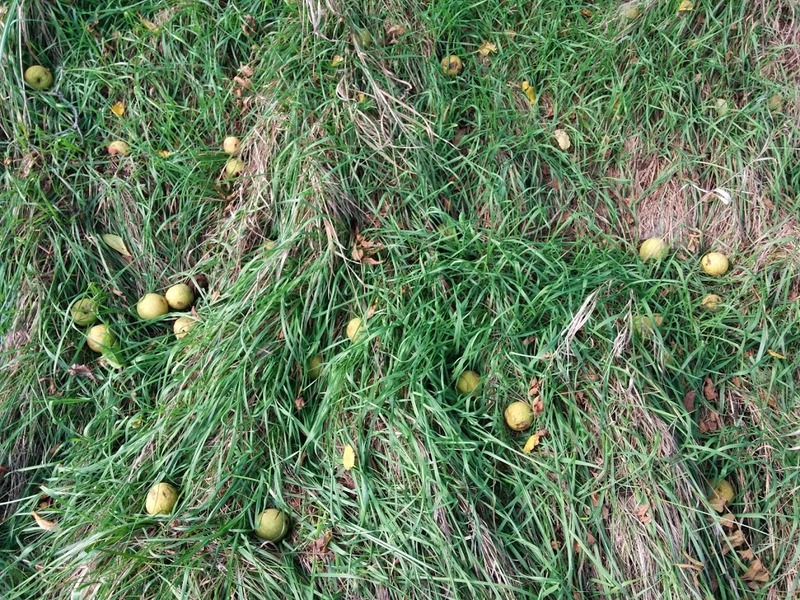 So while harvesting walnuts, I can identify trees to propegate, or if I want ot get more involved in breeding, harvest pollen to be applied to another tree that produces large nuts. The same information helps me identify trees to focus on human consumption, while the rest are perfect candidates under which to put hogs when they come to the farm! Basically walnuts tap into my deepest levels of tree nerdom. → Sorry for the lack of content!